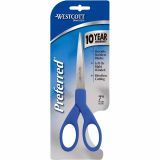 Westcott Preferred Line Stainless Steel Scissors, 7" Long, Blue - Lightweight and versatile, these straight shears feature adjustable blade tension for optimal performance and durable stainless steel. Plastic handles are ergonomically designed and molded for right-handed or left-handed use. 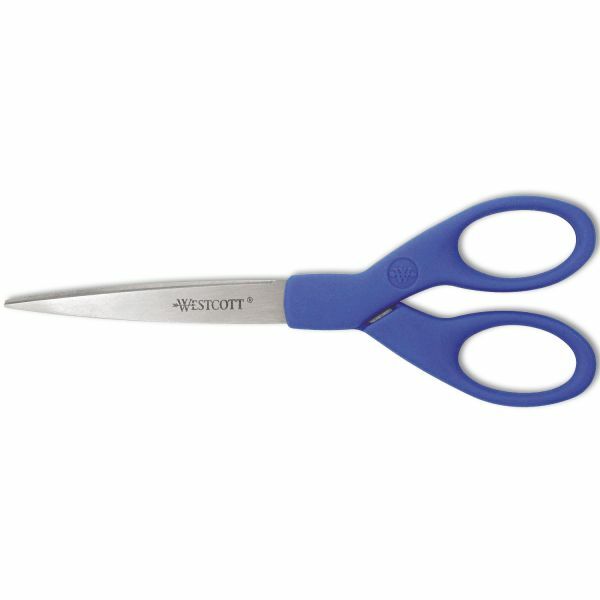 Precision ground on all surfaces, these all-purpose shears can be used for a variety of tasks.